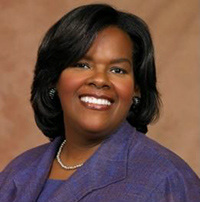 Jacqueline A. Berrien was sworn in as Chair of the U.S. Equal Employment Opportunity Commission (EEOC) on April 7, 2010. President Barack Obama nominated Berrien on July 16, 2009, to a term ending July 1, 2014. In announcing her nomination, the President said that Berrien “has spent her entire career fighting to give voice to underrepresented communities and protect our most basic rights.” Chair Berrien came to the EEOC from the NAACP Legal Defense and Educational Fund (LDF), where she served as Associate Director-Counsel for five and a half years. From 2001 to 2004, Berrien was a Program Officer in the Governance and Civil Society Unit of the Ford Foundation’s Peace and Social Justice Program, where she administered more than $13 million in grants to promote greater political participation by underrepresented groups and remove barriers to civic engagement. Before joining the Ford Foundation, Berrien practiced civil rights law for more than 15 years. A graduate of Harvard Law School, Berrien was General Editor of the Harvard Civil Rights-Civil Liberties Law Review. 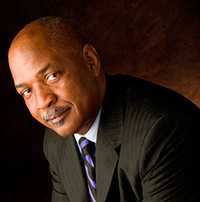 Charles Ogletree is also the Founding and Executive Director of Harvard Law School’s new Charles Hamilton Houston Institute for Race & Justice, named in honor of the visionary lawyer who spearheaded the litigation in Brown v. Board of Education that focuses on a variety of issues relating to race and justice. He is a prominent legal theorist who has earned an international reputation by taking a hard look at complex issues of law and by working to secure the rights guaranteed by the Constitution for everyone equally under the law. He has examined these issues not only in the classroom, on the Internet, and in the pages of prestigious law journals, but also in the everyday world of the public defender in the courtroom and in public television forums where these issues can be dramatically revealed. He furthers dialogue by insisting that the justice system protect rights guaranteed to those citizens by law. Ogletree earned an MA and BA (with distinction) in Political Science from Stanford University, where he was Phi Beta Kappa. He also holds a JD from Harvard Law School where he served as Special Projects Editor of the Harvard Civil Rights - Civil Liberties Law Review. Ogletree has served as Faculty Director, Associate Dean and Vice Dean of the Harvard Law School Clinical Program. 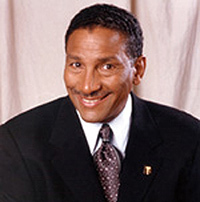 Rodney Hood, a board certified physician of internal medicine, is currently in private practice as the managing partner of Care View Medical Group and serves as the President of the Multicultural Primary Care Medical Group, Independent Practice Association composed of over 300 physicians in San Diego County. 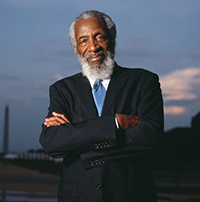 He has testified on Capitol Hill before several US congressional committees and participated in congressional and White House health forums and was appointed to “Medicare’s Health Disparities Study Panel” with the National Academy of Social Insurance (NASI) in Washington, D.C. His areas of expertise include health disparities, historic aspects of race, genetics and health outcomes, medical history, health policy, cultural competency in healthcare, medical practice organization and managed care administration. He is an honor graduate from Northeastern University School of Pharmacy in Boston, Massachusetts and received his MD degree from the University of California San Diego (UCSD) School of Medicine then completed his residency in Internal Medicine at UCSD University Hospital. He is past president of the National Medical Association (NMA) and currently serves as the NMA delegate to the AMA House of Delegates and the President & CEO of the Multicultural Health Disparities Institute (MHDI) in San Diego, California. Carmen M. Ortiz was nominated by President Barack Obama, as the United States Attorney for the District of Massachusetts and confirmed by the U.S. Senate in 2009. She is the first Hispanic and the first woman to represent Massachusetts as U.S. Attorney. She oversees the work of more than 200 attorneys and support staff in Boston, Worcester and Springfield.In 2010, she implemented the District’s first civil rights initiative, aimed at reinvigorating enforcement efforts of federal civil rights laws and increasing visibility among affected communities through extensive community outreach efforts. 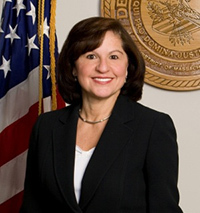 During her tenure as U.S. Attorney, Ms. Ortiz has overseen the criminal prosecution of corrupt Massachusetts Speaker of the House Sal DiMasi, infamous gangster James “Whitey” Bulger, and currently the prosecution in the Boston Marathon bombing. Additionally, she has led the District of Massachusetts to some of the largest civil settlements in U.S. history, including that of health care giant, GlaxoSmithKline. In addition, Ms. Ortiz serves on Attorney General Eric Holder’s Advisory Committee (AGAC). She is also the Chair of the AGAC’s Healthcare Fraud Working Group and a member of the AGAC’s sub-committee on Civil Rights and White Collar Crime.